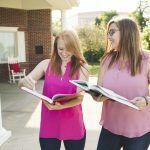 Alpha Sigma Alpha provides emerging collegiate leaders with the opportunity to enhance their personal and leadership development at the Emma Coleman Frost Leadership Development Institute (LDI). The Emma Coleman Frost Leadership Development Institute (LDI) is Alpha Sigma Alpha’s conference for emerging leaders. At each event, collegiate members will spend a weekend delving into a variety of topics with trained facilitators. The event steps away from traditional chapter operations and focuses on the individual’s development as a woman and a leader. LDI curriculum will be balanced between large group and small group discussions and activities. This unique event gives collegians the opportunity to explore leadership on a personal level and gain real-world skills that they can use to benefit their chapter, campus, professional and personal communities. 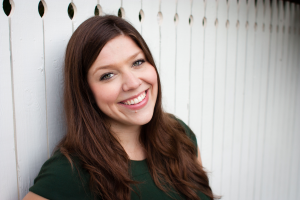 Tina Vansteenbergen will serve as the lead facilitator for the 2019 LDI events. The registration deadline for all events is Monday, May 20, 2019. Attendees have until 11:59 p.m. ET on the deadline date to register. Registrations submitted after 11:59 p.m. ET are considered late and subject to the late registration fee. Chapter presidents and treasurers are responsible for registering all chapter members attending 2019 LDI. How many members should attend LDI? 4-8 members from each chapter are required to attend LDI. Chapters with no representation at LDI will be required to pay a $1,000 fine to the national organization. How does my chapter decide who should attend LDI? Look at the emerging leaders in your chapter. LDI is designed for women seeking personal growth and leadership development. What information do I need to register my chapter? What do we do after our chapter has registered? After submitting the registration form, chapters should make travel plans. See the Hotel & Travel tab for more information. Information will be emailed to attendees from the time registration is submitted until the event. Registered attendees should check email including spam and junk folders regularly to stay updated. How does my chapter update our registration after we have already registered? Chapters should only submit the registration form once. Collegiate chapter presidents should contact Hayley Remmel, event coordinator, for assistance in adding or changing registrants after the registration form has been submitted. Hotel accommodations will be made for all attendees for Friday and Saturday night. All attendees will be assigned to a four-person room with two double beds. Hotel room reservations will be made by national headquarters staff. Attendees will be assigned to a room with at least one other member from her chapter. Chapters are responsible for making their own travel accommodations. It is recommended that chapters arrive by 3 p.m. on Friday. Programming will end at noon on Sunday. Chapters eligible for financial assistance will be reimbursed for travel expenses after the event. If your chapter is driving: Complimentary parking is available at the hotel. If your chapter is flying: Complimentary hotel shuttle is available for rides to and from the airport. Call (816) 464-2200 Ext 0 for shuttle pick up. If your chapter is flying: Complimentary hotel shuttle is available for rides to and from the airport. Call (215) 937-6937 for shuttle pick up. If your chapter is flying: The closest airport is the Indianapolis International Airport (IND). Attendees are responsible for making their own travel arrangements from the airport to the hotel. The success of the Emma Coleman Frost Leadership Development Institute is largely attributed to the involvement of small group facilitators. While curriculum topics will be introduced in a large group setting, participants will be assigned to smaller groups to further discuss the curriculum and provide learning experiences in a more intimate environment. Small group facilitators will conduct small group experiences that occur throughout the LDI curriculum. Small group facilitators will use the provided curriculum to facilitate discussions, hands-on activities and learning opportunities for their group members. Small group facilitators for the 2019 events have been selected. Please consider applying for future national event volunteer opportunities.